Qedit is our fast and efficient full-screen editor and development home base for HP e3000 systems (MPE/iX and MPE V). One of our objectives for Qedit is to give PowerHouse and COBOL developers all the necessary capabilities to perform their work from a single program. We are constantly enhancing Qedit with new features and fixes requested by users. Not only does this change notice include a description of Qedit's enhancements, it includes detailed installation steps and a list of other changes for host-based Qedit. This change notice also includes a description of the server portion of Qedit for Windows. Host-based Qedit is also available for HP-UX, with virtually identical features. If you would like more information, please contact Robelle Solutions Technology Inc.
Our newest editor, Qedit for Windows, now gives you the familiar Windows interface for editing both MPE/iX and HP-UX files, all from a single program. Qedit for Windows is the next generation of our popular editor, which consists of a Windows editing client and either an MPE/iX or HP-UX editing server that work together to edit host files. Since its release, we have focused our development efforts on Qedit for Windows, adding more functionality and continuing to expand its capabilities. If you would like to upgrade to Qedit for Windows, please contact Robelle Solutions Technology Inc.
� Calls to the Calendar intrinsic have been modified to use HPCalendar for 2027 mitigation. This is an ongoing process and should not have any visible impact. Qedit commands are added to the Redo stack before variable substitution occurs (Set Varsub On) i.e. with the variable name. So, if the variable value changes between the time the command is entered and the time it is retrieved from the stack, the results may be different. It's also important to note that commands related to Redo stack operations such as Listredo, Do, Before can not have trailing comments enclosed in curly braces anymore. The comments are not removed and likely cause a syntax error. These messages indicate some routines missing from the C library. If you are not planning to upgrade to a more recent version of MPE/iX, you should contact Robelle technical support. We can provide you with an additional file that will fix these problems. Qedit runs only on CPUs whose serial numbers (the "showvar hpsusan" number on MPE/iX) have been encoded. If it fails to run and you see an "invalid HPSUSAN" error message, call Robelle for assistance. Throughout this change notice and in all the Qedit documentation, there are references to compatibility mode and native mode. If you are on a Classic HP e3000 (that is, not on MPE/iX), you can use the compatibility-mode version of Qedit. Our installation jobs will automatically install the correct version of Qedit for your machine. Qedit works on both MPE/iX and MPE XL. Any reference to MPE/iX in our documentation can also be considered a reference to MPE XL, and vice versa. The $file approach is simpler as it only affects that particular command. The Set StringDelimiter approach should be used with caution as it might affect other commands during the edit session. Starting with Qedit 5.4.11, complex command files with multiple levels of nesting can cause an abort. In some of the cases we have seen, the problem only occurred when the Defer option was used. The workaround is simply to disable the feature with Set Open Defer Off. We are investigating the problem and will fix it as soon as possible. Qedit comes with a User Manual and a Change Notice. You may have received printed copies of these. They are also available as PDF or HTML files. You can download these from our Website. The user manual contains the full description of all the Qedit commands, as well as usage tips. The manual is up-to-date with all the latest changes incorporated in Qedit. To see only the changes in the latest version, see the "What's New" section of the manual, or see the change notice. For a complete description of the latest changes made to Qedit, the installation instructions, and any compatibility issues, see the change notice that was included with the release. If you are a new Qedit user, please follow the installation instructions in the Qedit User Manual. The following installation instructions assume that you are an existing Qedit user who is upgrading to version 5.7. 2. Install the QLIB and/or Bonus programs. Installation should take less than 20 minutes. No one can use Qedit while step 1 is in progress. Bonus and QLIB programs cannot be used while step 2 is in progress. If you have any questions about the upgrade process or run into any problems, please call us. Technical support is available on weekdays from 7 a.m. to 4 p.m., Pacific time. If the tape you received has more than one product on it (e.g., Qedit and Suprtool), you can take a shortcut instead of following the complete instructions for both products. Steps that are common to both installations need only be done once. That is, there is no need to restore twice, or setup the Robelle account twice, or install the Qlib and Bonus programs twice, or clean up unneeded files twice. Note that if you do not use this shortcut it is not a problem; it will just take you a few minutes longer, and you will have to mount the restore tape a second time. 1. Do all of the Qedit steps, except for the final Purge Installation Files step. 2. Then do the Suprtool installation starting with the :stream Install.Suprjob step. Skip the initial Restore and Robelle Accoount steps, and skip the Qlib/Bonus step. Do the final Purge Installation Files step. This step requires three separate procedures: restoring all Robelle files from tape to disc, building (or upgrading) the Robelle account with the job stream that we provide, and streaming the installation job stream. All these procedures can easily be accomplished if you log on as Manager.Sys. First, you have to restore all the files from tape. Check the :Restore listing for files that were busy and could not be restored. There are a number of reasons why a file could have been busy: someone may have been using it or backing it up, it may have been held as a suspended son process (menu system), or it may have been allocated. If files were busy, chase away any users, deallocate any busy programs, then try the :Restore command again. You must build (or upgrade) the Robelle account with the job stream that we provide. This job removes the passwords from the Robelle account and from the user Mgr.Robelle. You need to know the existing passwords so that you can put them back after the installation. Once you have written down the passwords, stay logged on as Manager.Sys and stream the job that builds and updates the Robelle account. This job stream will send you a message when it is finished. Stay logged on as Manager.Sys and put a password on the Robelle account. If you are upgrading your Robelle account, use the old password. Please note that during installation, we add OP capability to the Robelle account. Once Qedit has been installed, you can remove OP capability. Check the installation job $stdlist. If anyone was using Qedit or attempting to back it up during the installation, the job will fail. If the job failed, chase away any users, ensure that a backup is not in progress, then stream the installation job again. Qedit comes with an array of contributed software in the QLIB library (in the QLIB groups of the Robelle account). QLIB programs may be used on any CPU and may be given away freely. 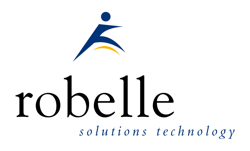 Your Robelle license may also entitle you to receive our Bonus programs: Compare/iX, HowMessy, Select, Spell, and Xpedit. These programs reside in the Pub group of the Robelle account. Bonus programs can be used only on authorized machines, and you may not distribute them to anyone. If you received Bonus programs with this version of Qedit, use the job stream called Bonus.Job.Robelle to install both the QLIB and Bonus programs. If you did not receive Bonus programs, use the job stream Qlib.Job.Robelle to install the QLIB programs. If you skip this step, you may end up running old versions of these programs. Before you can use the Spell Bonus program or the Words command in Qedit, you have to build the main dictionary for Spell with an additional installation job. This job stream can take 30 to 60 minutes; you do not have to wait for it to finish before going to the next step. By default, the Spell program uses American spellings. To use British spellings, set the SpellAmerican JCW to False in the installation job. For more information, see the Spell User Manual. If you don't need to compile source files that are saved as permanent Qedit workfiles (file code=111), then this step is optional. It is also optional if you have not installed a new version of MPE since your previous Qedit installation. If you use any NM compilers on MPE/iX, you will want to install the new NM compiler interface. If you still use the CM compilers as well, you will also want to install that compiler interface (described in step 4 below). Assuming that you have restored the Robelle files on your system and that you have not done this step before, stream Savecmdf.Qeditjob to make backup copies of the existing HP command files in the Stdcmd.Sys group. You need to know the Manager.Sys password. 3. Change "setjcw jcw=fatal" to an invalid command so that errors in either Qedit or MPE/iX will abort the command file. Now you should be able to compile a Qedit file or a Keep file, either within Qedit or at the MPE/iX prompt, simply by invoking the normal command file. Within Qedit, you can specify an asterisk (*) for the current workfile. If you don't need to compile source files that are saved as permanent Qedit workfiles (file code=111), then this step is optional. When installing Qedit on MPE/iX, you might have to install the NM compiler interface (described earlier) and the CM compiler interface (described here). For MPEV, however, you only have to worry about the original CM compilers. After restoring the files from tape, you have to choose an installation method: integral or isolated. There are two methods of fixing the compilers on your system: integral into Pub.Sys or isolated in the Robelle account. The isolated method is best for new or trial-period users because it is faster to install and easier to remove later. You can start with the isolated method and easily convert to the integral method later. If the displayed line ends with "IN ROBELLE," you are using the isolated method. If it ends in "IN SYS," you are using the integral method. The compilers in Pub.Sys are "fixed" directly, and a segment is added to the system SL. The standard :Cobol and :Pascal commands of MPE then compile Qedit workfiles. :Sysdump is used to make a new cold load tape for the next time you need to boot the system. The MPE compilers are copied into the Q.Robelle group and the original compilers are left in the Pub.Sys group. No code is added to the system SL. Qedit workfiles can be compiled only within Qedit because the "Qedit" compilers are not in Pub.Sys. The job stream Qeditj1.Qeditjob.Robelle makes integral compiler fixes. Use it either to update the fixes to a new version or to re-install the fixes after an MPE update from HP. Before you start, you should :Store @.Pub.Sys and save it on tape because this job modifies the compiler program files in Pub.Sys. You will need another small tape for a new cold load tape. Ensure that no one compiles during the installation. Stop all jobs and send an operator warning. Log on as Manager.Sys, modify the first line of the Qeditj1 job to include the passwords, then :Stream the job. This job runs Qedify.Pub.Robelle, which updates the compilers in Pub.Sys and installs nonprivileged hooks into them so that the compilers can access Qedit workfiles. The job adds a code segment from Qcompusl.Pub.Robelle into Sl.Pub.Sys and then requests a tape mount for a new cold load tape. Mount a write-enabled tape and :Reply. Save this tape and use it for future cold loads. The CM compiler interface is now installed. Compiling done inside or outside Qedit will work on either Qedit workfiles or on regular Keep files. The job stream Qeditj1a.Qeditjob.Robelle fixes the compilers, but it isolates the changes in the Q.Robelle group. Ensure that no one compiles during the installation. Stop all jobs and send an operator warning. Modify the first line of Qeditj1a to include the Robelle password, then stream the job. The job uses Qedify.Pub.Robelle to copy the compilers from Pub.Sys to the Q.Robelle group, then it "fixes" them so that they can read Qedit files. The original compilers in the Pub.Sys group are not modified. Once this step is finished, you can use the CM compilers on Qedit files from within Qedit, but not at the MPE prompt. The easiest way to clean up after an installation is to stream the Cleanup.Purgejob.Robelle job. This job saves you disc space by purging the installation files. It does not purge the files that are necessary to run the software. The following sections describe the new enhancements to Qedit since the last major release. The number in brackets at the end of each section indicates the version in which the feature was first introduced. Qedit for Windows lets you edit local MPE/iX and HP-UX files from a single MS Windows program. It consists of a Windows editing client and either an MPE/iX or HP-UX editing server that work together to edit your host files. To take advantage of Qedit for Windows, you need both parts: the client and the server. 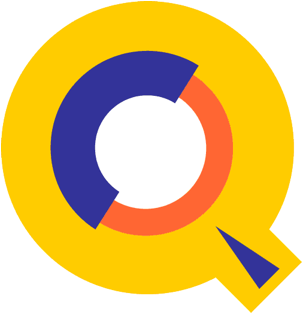 Qedit for Windows uses the popular TCP/IP protocol for communicating between the client and the server (this is the same protocol that you use to access the Web). Configuring the Qedit server software requires creating the correct TCP/IP environment for Qedit for Windows. By default, the Qedit server uses the MPE/iX Remote Process Management (RPM) service to start each server session. With RPM, the client sends a program name and an Info= string along with logon information to the RPM listening process. The RPM listening process then validates the user logon and starts the specified program with the Info= string. The server process is seen as an MPE/iX session, but the process is not included in your user limit. The Qedit server software is not available for MPEV. 1. A new host session is started, and the user name and passwords are validated (this includes additional logon processing by products such as SECURITY/3000). The "<ip-address>" is the IP address of the Qedit client. 3. The Qedit process starts, and it verifies that you are authorized to use Qedit in server mode. 4. Any system-wide Qeditmgr files are always processed. Processing of account and group Qeditmgr files is optional and must be enabled in the client. 5. The requested file is opened. 6. A response is sent to the client. It is important to note that logon UDCs are not executed as part of this process. Any environment variables or file equations that are set up as part of a logon UDC will not be applied in the Qedit server process. The default protocol is usually sufficient at most sites. However, some customers use firewall devices to further restrict access to their HP e3000. The default protocol might not work at some of these sites. For this reason, the server offers a Firewall protocol. If the job is not running, all new connection requests are rejected. Currently, the only way to stop the job is to abort it. With this setup, the server runs as a listener similar to a UNIX daemon. It waits for incoming connection requests on a specific port number. Like the HP-UX server, the default port number is 7395. If you want to use a different port, you have to modify the Qserver job stream. Upon receiving a request, the listener passes the information down to RPM, which then takes over. This release fixes a number of bugs. The number in brackets at the end of each section indicates the version in which the problem has been fixed.